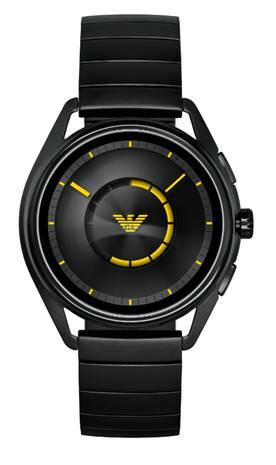 Emporio Armani introduces a new generation of touchscreen smartwatches further expanding the brand’s wearables line — Emporio Armani Connected. Concurrently with the launch of the new smartwatches, a new selection of exclusive new pictures from the ADV FW18 campaign will be unveiled, featuring renowned singer and songwriter Shawn Mendes, now face of the entire collection of Emporio Armani watches. The new smartwatches will be available for pre-sale today on armani.com, and available worldwide in early September at Armani stores and selected retailers worldwide. Emporio Armani Connected’s latest smartwatches feature dynamic styling, the latest evolution of wearable technology, and a sleek design that honours the brand’s tradition of precision in watchmaking. 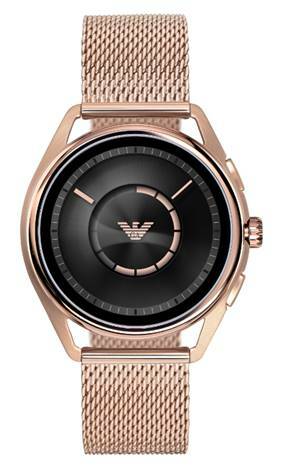 Powered with Wear OS by Google and the Qualcomm Snapdragon Wear 2100 SoC, the new Emporio Armani Connected touchscreen smartwatches are compatible with both iPhone and Android phones.